During May to November, the risk of typhoons is significant in Hong Kong. The Hong Kong Observatory (HKO), a government department responsible for monitoring and forecasting weather, has set up a sophisticated typhoon warning signal system. When it communicates a higher warning signal, the majority of businesses are forced to shut down, often resulting in economic loss. When a typhoon approaches, the Hong Kong Observatory (HKO) will consider issuing a typhoon warning signal, classified by numbers indicating risk severity levels. When a No. 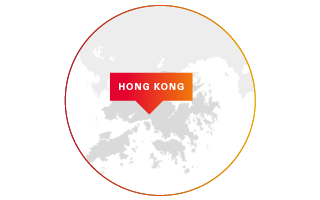 1 signal is issued, it means a tropical cyclone is within about 800 kilometres of Hong Kong. When a No. 3 signal is issued, it means strong wind is expected in the city, and potentially results in the closing of businesses most directly affected by conditions. However, when the No. 8 signal is issued, gale force winds that may spike to very high speeds are expected, and the majority of businesses might be closed.